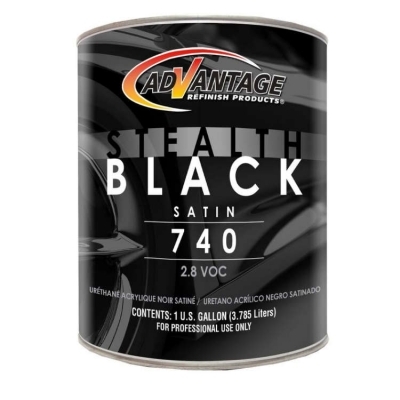 PRODUCT DESCRIPTION:ADVANTAGE #740 STEALTH SATIN BLACK is a premium acrylic urethane single stage color, designed to offer that very popular covert “Old School” look. Provides UV protection and longterm durability of a standard paint + satin finish clear in one. • Satin stays Satin! No shine/buff or fingerprint detection will appear on this even (satin) finish.